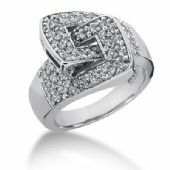 This magnificent ring has 64 round diamonds in a prong setting. 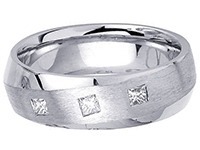 This locked looking diamond anniversary wedding ring is 14K and white gold as well. 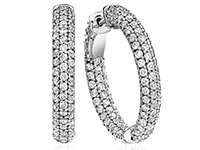 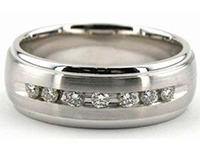 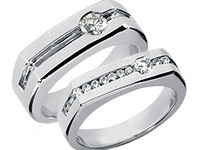 The shiny finish brightens up the ring and allows the diamonds to shine. 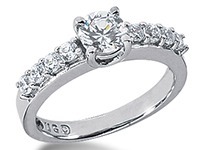 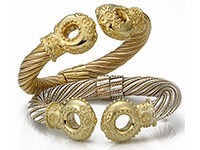 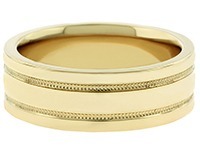 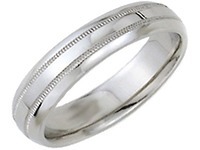 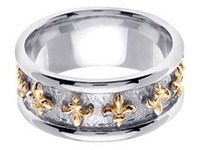 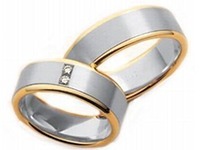 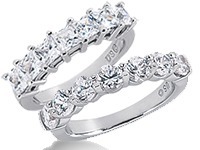 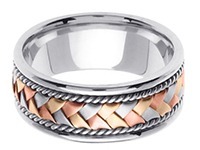 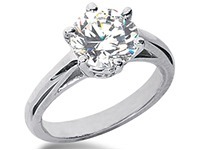 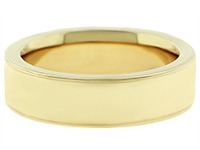 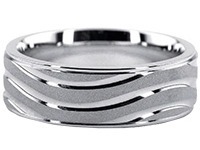 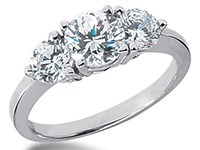 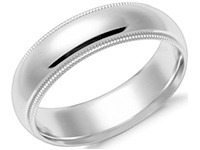 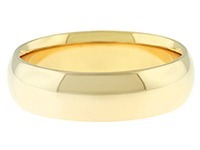 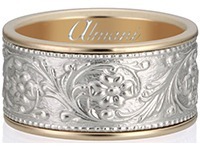 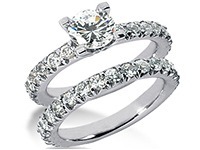 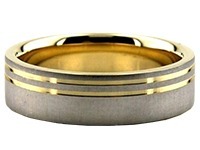 A gorgeous ring like this would be the perfect anniversary ring for you or your loved one. 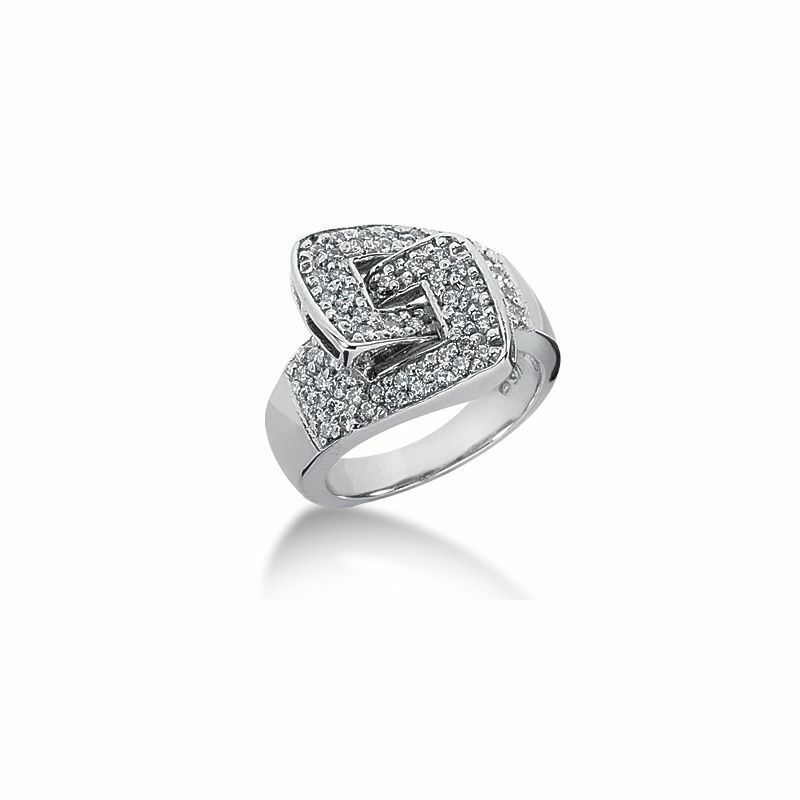 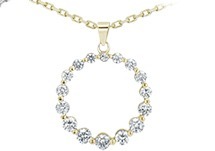 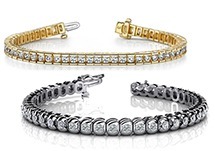 Made with care and hand touched by our craftsmen who specialize in diamonds and jewelry. 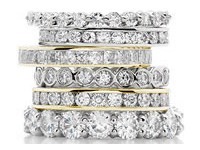 They spend their time ensuring that each diamond will be set and placed into the ring perfectly.